Was the year 1879, during the second migration of Italians to the Central Selva, they arrived full of illusions and desire to work Silvestro Tremolada, María Luigia Canenaghi and their three children Paolo, Ana and Rosa. They came with the idea of ? ?doing agriculture and earn a lot of money to return later to their beloved Lombardy, plunged at that time into a great crisis after the Italian Unification war. They arrive at Al Callao and after crossing the Central Andes, after a long and hard journey, their original idea would change forever as they crossed the Carpapata Abra for the first time and had before their eyes the magnificence of the High Jungle. They were fascinated! Fascination that made them feel at that moment part of that beautiful land and made it theirs forever. The most common saying of the great-grandfather to express this affection was "he who does not carry it in his blood carries it in the spirit"
In the year 1892 Maria Luigia dies at the age of 41 years. Silvestro is left alone with his children whom he is raising with difficulty because he never remarried. It was the year 1903 when Silvestro died at the age of 67 years. He is buried next to María Luigia in a small mausoleum that is still preserved in La Merced Cemetery. The family is dispersed, the properties are divided and Antonio, stays with La Palma, San José and La Garibaldi after an agreement with his brothers. Year 1907, a young and enterprising Antonio marries María Pía Del Vigo Mori. Let us tell a little about the story of María Pía, a young and enlightened woman from Lima, the daughter of Genoese immigrants. Ignacio Del Vigo, his father is an Italian soldier who comes to Peru attracted by his promises of development. In 1874 he married, already in Peru, with Manuela Mori. 1878, are times of war, the bloody War of the Pacific begins, Ignacio despite being a foreigner, takes sides with Peru, his new homeland. He enlists in the Army and becomes part of the General Staff of Cáceres becoming his secret mail, bringing and bringing vital information between the Central Sierra and Lima. In 1887, when the war was over, María Pía was born, who would be her only beloved daughter. María Pía lives and is educated in the Rimac. One day at the entrance of the theater to see La Traviata, he meets Antonio, who frequently traveled on business and mainly to attend the opera season. Already married, María Pía accompanies him to La Merced where they form a family and she helps him grow in business and agriculture. They live in La Palma where their children Luis, Manuela who dies at the age of 7, Manuela María and Milagros. They are years of great happiness and prosperity. Antonio becomes Mayor of La Merced. Everything was fine. The war returns. This time is the conflict with Colombia. In San Ramos, a town near La Merced, an air base is installed to supply the combatants on the Colombian border. Once again the family is present to help their country, within its possibilities. Antonio, owner of one of the few trucks in the area, a memorable Ford T, brings supplies from Huancayo and Lima to be sent on airplanes to the war zone1943, are times of great sadness, victim of cancer María Pia died 56 years old Antonio remains alone with his three young children. Immersed in grief he decides to sell La Palma, a place where he was so happy with his beloved wife. The family is left alone with La Garibaldi and San José, both properties because of their proximity to La Merced allows the family to live in the property they had in the city. Later in 1958, the construction of the house in San José began. Antonio, Luis and Violeta, his wife and Milagros, would move. Manuela María already married, lives in Lima with her family, but they all spent long periods in "La Casa Del Abuelo" in 1969, Antonio dies at the age of 90. The property is divided between his heirs and later in the year 1970 , being mayor Mr. Ernesto Schultz declares Pampa del Carmen as an area of ? ?urban expansion, forcing the change of land use. The San Antonio, María Pía and Paraíso Urbanizations were born, the former Hacienda La Garibaldi disappearing. In family property, only San José farm remains. In the year 2000 Carmen Brocq Tremolada, daughter of Manuela María Tremolada and Juan Brocq, buys the farm to the heirs of Antonio, her grandfather. Initially only repairs are made to the old house. In 2005 Carmen, wanting to share the beauty of the place, begins to develop the idea of ? ?making a stay. Idea that is supported in its entirety by her husband, José Armando Hopkins. Together they make this dream come true and the Lodge opens in the Holy Week of 2006. From that moment and thanks to the unconditional work of Lorena Brocq Tremolada, who from the first day takes over the administration, the Lodge begins her career of successes. In 2011 together with Marlene Iannacone, sales and marketing representative, the idea of ? ?innovating the Lodge was born. A multidisciplinary team is formed by professionals from AXIS - PUCP, Edith Meneses Architects and Pilar Kukurelo and Dr. José Iannacone Biologist with whom a project is initiated to involve the surrounding communities in the benefits of tourism and create within the 43 hectares a large ecological park, where the aim is to show and conserve the great biodiversity of the Central Selva. 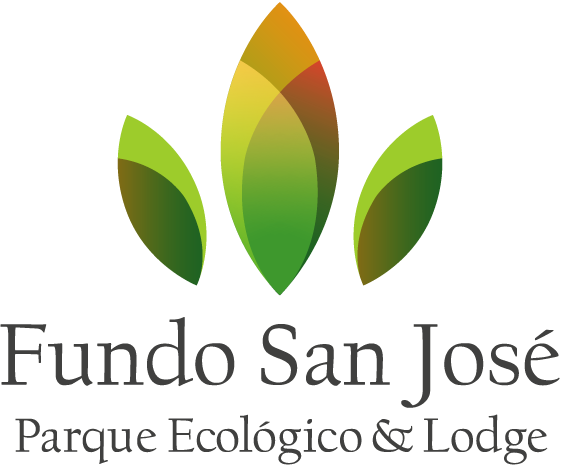 This project becomes a reality thanks to the financial contribution of Fundo San José Ecological Park & ? ?Lodge and Fyncit, through non-reimbursable funds from the Peruvian State for innovation.